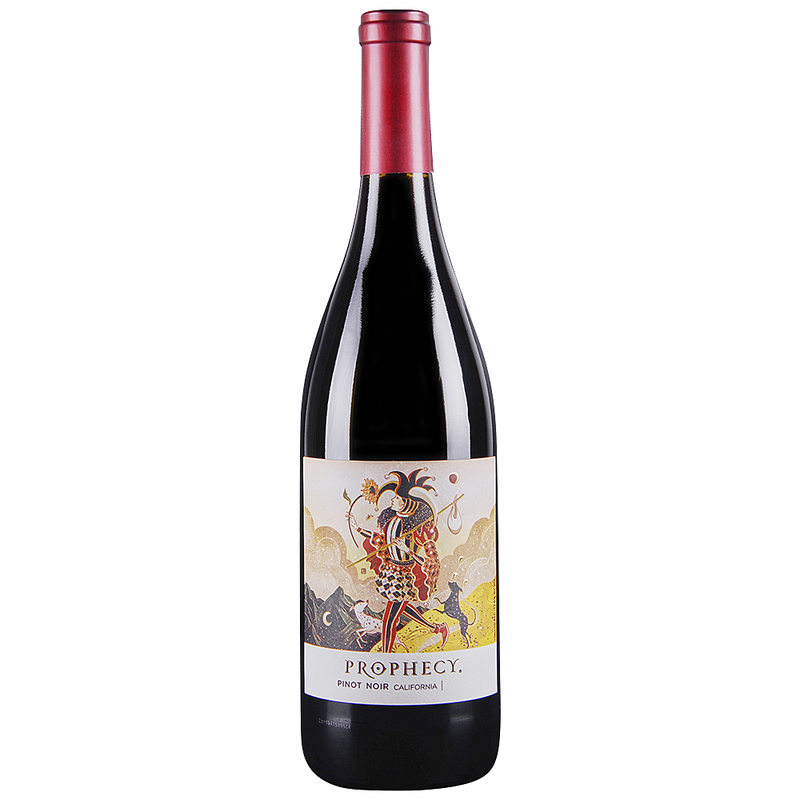 Prophecy Pinot Noir showcases the best of California. Upon the first swirl, this Pinot Noir delights the senses with a bouquet of toasted oak and ripe raspberry. Plush and smooth, the mouthfeel is round and filled with luscious layers of red cherry and strawberry. Prophecy Wines are inspired by the bounty of harvest and the possibility of greatness in a glass. Crafted to showcase each grape variety's defining characteristics, the wines of Prophecy come from premier growing regions around the world. Each wine unearths a shared journey of discovery.